A fun book. Can you imagine, inheriting some property from a relative, opening the garage door and finding an old car worth millions of dollars? This book has that story, plus many, many others that are just plain fun to read. 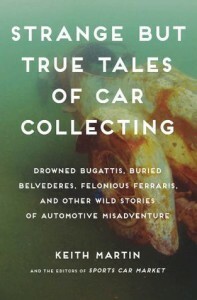 I would suggest this book for serious car buffs. There is a lot of detail that just plain went over my head. My only complaint on the book is the lack of good photographs. Perhaps it is because I received it as an ebook from NetGalley, and future hard copies of the actual book will have them?